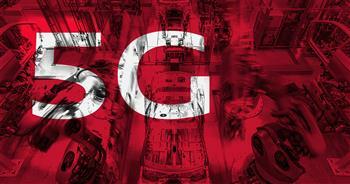 Ingolstadt/Stockholm, August 3, 2018 – Audi and 5G innovation leader Ericsson have announced plans to pioneer the use of 5G technology for automotive production. At Audi's headquarters in Ingolstadt, Germany, the two companies agreed on a range of activities exploring the potential of 5G as a future-proof communication technology that can meet the high demands of automotive production. Audi and Ericsson have signed a Memorandum of Understanding (MoU) and in the coming months, experts from both companies will run field tests in a technical centre at the 'Audi Production Lab' in Gaimersheim, Germany. "The fully networked factory will have a significant impact on the production of the future. A powerful network architecture that can respond in real time is of decisive importance for us," says Frank Loydl, Chief Information Officer at AUDI AG. "As part of the project with our partner Ericsson, we are testing the opportunities offered by 5G technology for industrial applications in the smart factory." "Ericsson is already running 5G industry programs all over the world to help manufacturers boost productivity and create new business opportunities. This project is a great opportunity to see what is possible when we bring 5G into an automobile production environment to truly enable smart wireless manufacturing," says Erik Ekudden, Group CTO at Ericsson. 5G is the next-generation of mobile communications, which will extend the performance of today's mobile networks to serve the future needs of consumers and industries. 5G networks will deliver a better and faster broadband experience for consumers, while for businesses 5G will be an enabler to open up new applications for everything from connected vehicles to the smart factories of tomorrow. The technology has many network characteristics that are essential for Industry 4.0 with increasingly flexible and complex production processes. It allows for faster data throughput rates and more network capacities, as well as promising highly secure availability. In addition, ultra-low latency ensures fast response times between equipment in the factory system. The planned infrastructure at the technical centre in Gaimersheim will include the implementation of 5G technologies in a simulated production environment that mirrors those of Audi's plant in Ingolstadt and other locations. The laboratory will be equipped with Ericsson's Proof-of-Concept (PoC) network which is an open trial facility to enable early deployments of 5G technology. The network is designed to integrate alternative or complementary technologies to the ones currently in use, including WiFi or wireless LAN, or wired (Ethernet) connectivity of production components. Audi and 5G innovation leader Ericsson have announced plans to pioneer the use of 5G technology for automotive production.